God’s Word is truly the light for our feet to follow! As the age of “texting” and “quick status” reports are upon us, we need to be careful to not forsake the reading of God’s Word. The enemy would seek to keep the Church from taking the time to read and understand His written Word. He is very subtle in his attempt to coerce people, especially the younger generation, to forsake a foundation built upon the Word of God and move instead to the “sinking sand” lifestyle of believing that love means accepting everything; “political correctness” is perceived to be truth. This is a time to encourage new believers and our young people who follow the Lord to be sure that their foundation is built upon the sure and unshakable foundation of TRUTH, which is found in the Holy Scriptures. In these days we need to have an authoritative answer to the schemes of the enemy. Often I find that merely standing in the truth of His Word or releasing the authoritative Word of God in the midst of adversity can turn the tide and bring the breakthrough that is needed. We cannot send out a generation with no weapons to war against the spirit of the age that seeks to destroy them. A form of godliness will not be enough to stand up in the days to come. His Word is one of their greatest weapons of warfare. 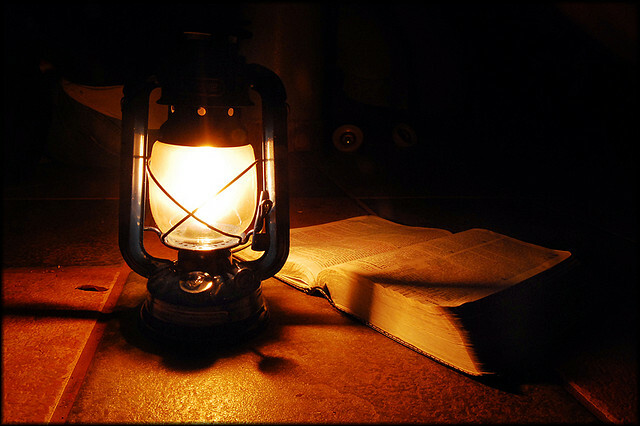 God’s word brings freedom, wisdom, life, security; it is a lamp unto our feet. I stand with John, the writer of the Book of Revelation, and admonish you to continually remain grounded in His Word and to train up this in-coming harvest and the younger generation to both hear the Kairos word of God AND to faithfully adhere to the truth found within the unshakable written Word of God. We want to be His Church that says, “Not my will, but Thy will be done.” We desire for God to govern His Church according to His will rather than see a Church that is governed by the will of the people. Let us continually press in to be aligned with His Word as we see many new believers come forth.